Suffolk’s answer to Lewis Hamilton could be found in Bury St Edmunds over the next Bank Holiday weekend as an F1 show car will take pole position at the Our Bury St Edmunds Whitsun Fayre. With the Monaco Grand Prix taking place in Monte Carlo over the same weekend, the motorsports show on Angel Hill hosts a simulator designed by racing drivers for racing drivers. The free attraction will give the ultimate F1 driving experience with a realistic sensation of speed and control as drivers navigate the circuit. Fastest lap times will be displayed and race technicians will be on hand to give full instructions. Chief Executive of Our Bury St Edmunds Mark Cordell said: “The event is celebrating its 20th anniversary this year and since Our Bury St Edmunds began organising it six years ago we have worked hard to bring in attractions that will make it a real family event. For parents, I doubt they’ll find a better town centre day out this weekend, with the number of free activities we’re putting on. 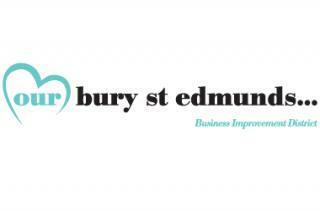 The Our Bury St Edmunds Whitsun Fayre will offer a variety of popular attractions from recent years including the urban beach in The Traverse, the mini-farm near the top of Abbeygate Street and a flower and plant market, as well as other market stalls on the Cornhill and Buttermarket. In Charter Square there will be a helter skelter, carousel and giant games.